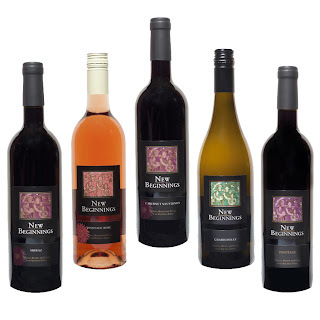 Well, not quite New Beginnings wines itself, but at least you can meet with me, Anton Blignault, at the South African pavilion to discuss the new labels, new vintages…. For the moment, we are proudly showing off our newly designed labels. It is phased in as we cross over to new vintages and introduce new cultivars, such as the much appreciated Cabernet Sauvignon 2009, Shiraz 2009, and Pinotage Rosé 2010. Please contact me in advance at fmsmarketing@yebo.co.za to set up a meeting at Prowein (I will attend as a trade visitor), and have a look on www.fms-wine-marketing.co.za for detailed information on each wine (via a link to Global Wine & Spirits), plus a full compliment of brands to extend your South African porfolio. FMS "Serving wine successfully for 11 years"
FMS is a producer, wine négociant and international trading house focusing on the export of wines at producer list price, from entry level to high-end. Thanks to our professional approach, all our clients choose FMS rather than dealing with the cellar. 4 sales in 4 months to 4 new clients thanks to GWS! Labels: "Anton Blignault", "FMS Food and Beverages SA", "FMS Marketing", "Global Wine and Spirits", "New Beginnings Wines"